There are no two ways about the fact that running a website is not an easy task. Be that as it may, bringing organic traffic towards your website is a real bear. You can make the argument that there are a lot of factors which take part in attracting organic traffic to your website comprising informative content, Search Engine Optimization, marketing, link building, the genuineness of your website, web design etc. How can Area Pages benefit your website’s local SEO? What exactly the term Organic Traffic means? What keywords to be used in Area Pages? What was the result of Adding Area Pages? What was the result of adding images to Area Pages? Example of an Area Page and What About the Content? We are presenting you with the Case Study of how we got massive Traffic to Our Website by Just Adding Area Pages. 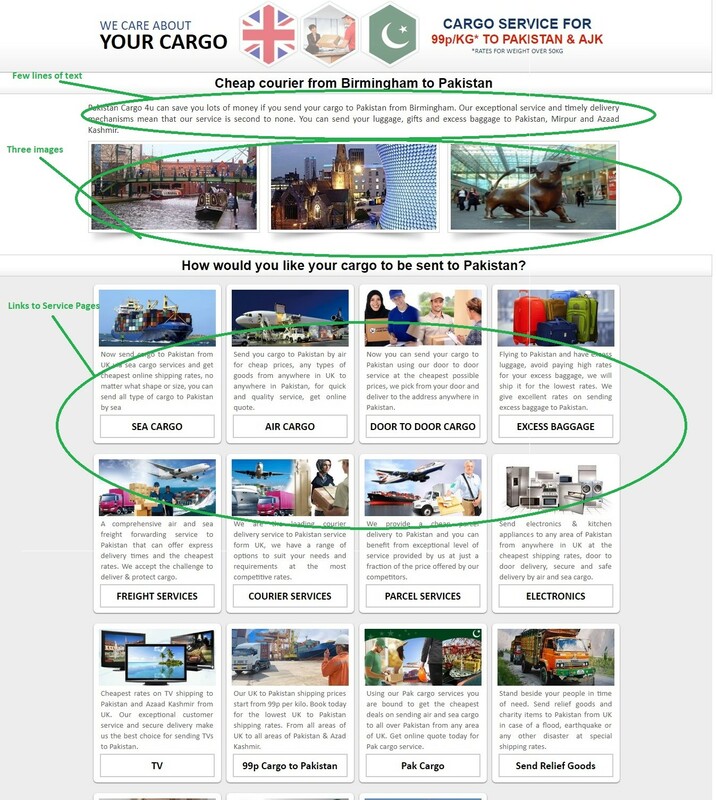 A while back, we thought of doing an experiment with one of our client’s website which provided the services of cargo shipping from the UK to Pakistan. And to be brutally honest, it turned out to be a fruitful move. It helped us attract an enormous number of visitors to our site in a short span of time. Before we delve into how did area pages change things for us, let’s just catch a few common terms associated with our case study. Having said that, it takes some elbow grease to run a website successfully because of high competition in the market. At the end of the day, you can’t make an omelet without cracking a few eggs. In order to fine-tune the ranking of your site, you need to keep a close eye on the SEO these days. Without doing so, you can’t make the things go your way and get the desired results. Whenever a user wants to search anything inside the search engine, they get the results against the specific keyword they have entered in the search bar. Now the thing is, they are more likely to click the results which appear in top 5 suggestions on search engines like Google, Bing or whichever search engine they make use of. That’s tricky. I mean, if your landing page is unable to appear in top 5 results naturally, you have to lose the desired users. No kidding! Alright, SEO (Search Engine Optimization) engulfs all the techniques and methods to verify that the website you are working on appears in the search engines results pages naturally. There are two most common approaches of SEO including On-page SEO and off-page SEO. If you spend a moment just talking about the On-page SEO, it comprises the optimization of the website in order to boost the number of visitors to the website. It generally involves all the methods to make the website as search engine friendly as possible. Be that as it may, it requires the consistent emendation of the site you are working on for the sake of maintenance of its ranking in the search engines. The most common On-Page SEO techniques involve the optimization of keywords, links, and titles etc. When it comes to Off-Page SEO, you can make the argument that it’s all about the promotion of the site through other channels (outside your site). Link building is the first and foremost example of Off-Page SEO. There are a bunch of strategies for Off-Page SEO which can help your site rank higher in the search engine result pages. So, it’s important too. 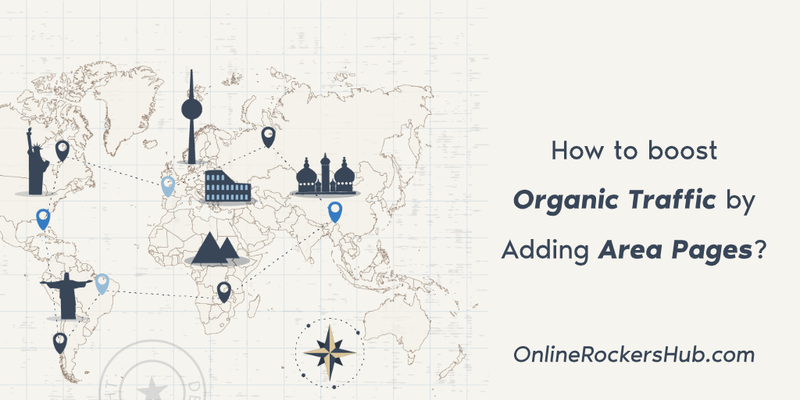 Well, organic traffic refers to the visitors who find their way to your site by putting specific keywords into the search bar. That’s wholly natural (without paying a single penny for that). These specific words are known as keywords and sit in the catbird seat when it comes to attracting the traffic towards the websites of specific niches. You can get the services of Organic Traffic analytics to check if your website is performing up to the par in grabbing the visitors or not. By giving all the errors a look-see, correcting the flaws and then nipping the unnecessary delays you can uplift the traffic to your website. So, now you’d be knowing that SEO is of paramount importance for the website’s position in the search results. Optimized website means more traffic and more traffic means more impressions and sign-ups. And that’s the same thing every website owner would be pinning their hopes on. 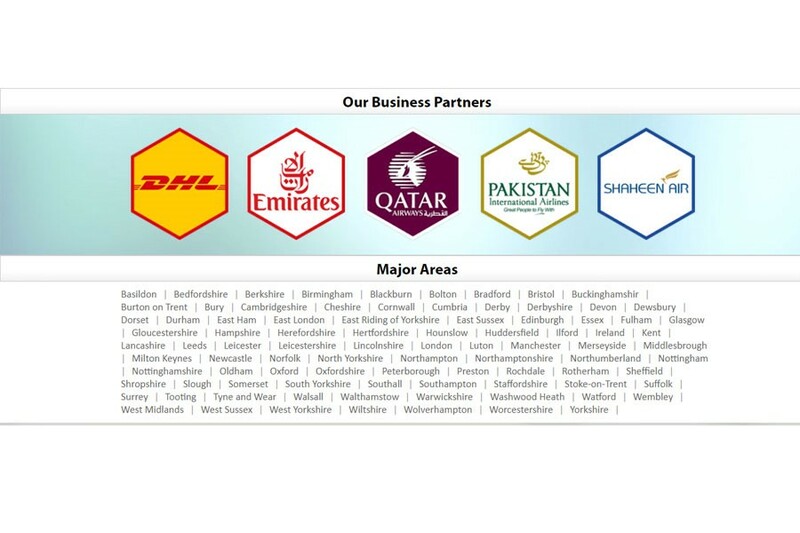 We got a website off the ground a couple of years ago with an aim to provide all the customers with cargo services from the UK to Pakistan. Be that as it may, the separate areas pages were still not added. Our team then decided to extend the service throughout the UK (by adding different areas pages to the site) and it turned out to be a big success. After our team thought of inserting physical locations and area pages to our site (where we were offering the services). 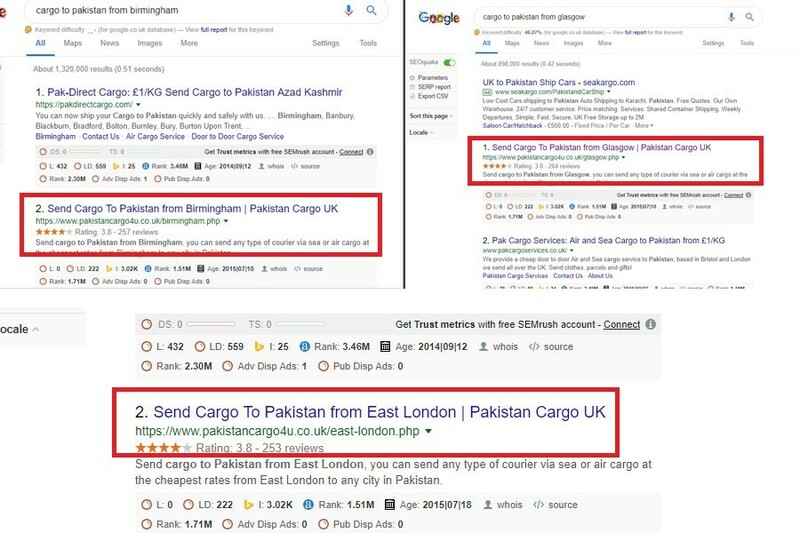 We took note of the recent keywords that people used to enter into the search boxes with the goal to send cargo from specific areas of UK to Pakistan. Resultantly, we singled out the most typed keywords the certain areas and created pages with additional areas. As an illustration, Cargo to Pakistan from East Ham, London, Glasgow, Birmingham, Leicestershire, East Riding of Yorkshire and so on. With the aforementioned move, we managed to attract a whopping great number of visitors to the site. Before this case study, 1000 visitors used to visit the site. Be that as it may, the number just crossed 6500 visitors within a little time. That’s interesting, isn’t it? And the story doesn’t end here. Our website started appearing at the top page for all the main keywords. 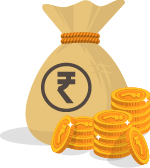 The same thing brought in a great increase in the service acquisition and revenue generation. Vola! Straight after that, a giant stride was also noticed in the conversion rate. That said, a hefty percentage of the people signed up for the website just because of the addition of the area pages. We were then told by the analytical team that the conversion rate just climbed up from 16% to striking 25% due to the insertion of area pages. This brought us more and more customers in a short while. Well, honestly, we didn’t expect that much but it worked for us. It might seem a bit weird to you but the addition of images on area pages proved to be a silver bullet as well. No ifs, ands, or buts about it. Images of different landmarks belonging to the particular areas were inserted and the outcome was astonishing. This was due to the reason that these images allowed the visitors to select the particular area without reading the whole content and ultimately gave a push to the conversion rate. We went for exactly the above plan and the results were amazing. To this date of writing this post, we have yet felt the need for increasing any content as the rankings been great. An example of an area page can be seen live here. The upshot of the above discussion is that the running a website is not as easy as drinking a glass of water. There are a bunch of factors which come in the way of polishing up the ranking of your website. However, no one can give area pages a brush off when it comes to boosting up the ranking of your website. Alright, don’t take my word for it and go for it for once to see the magic. I kid you not. Note: This is a guest by Abbie Ella. If you wish to contribute your unique article to OnlineRockersHub, then check our Guest Blogging Guidelines. This article has been written by Abbie Ella. She has been working in Digital marketing and is responsible for drawing up long term marketing strategies for websites. Currently, she is working for Phedratech Online Solutions and had a chance of working in many different niches. Nice presentation Abbie. I haven’t read anything like adding Area pages so far. Especially for service websites, this kind of mentions about the location name, images of the popular landmark in the specific location brings reasonably big traffic. Great. Thanks for the article with examples too.